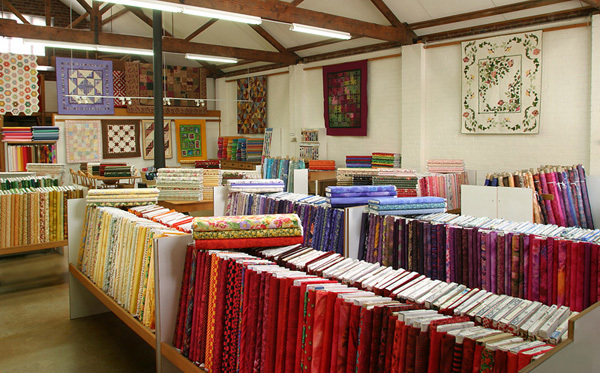 The PatchWorks conducts a number of quilt making classes throughout the year including a free tuition beginners quilt class for those who would love to make a quilt but don’t know where to start. We have three class terms and publish class lists prior to commencement of each term. Drop by or ring to sign-up for a class. 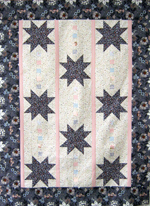 Our machine patchwork classes are designed to please both beginners and experienced quilters. Skill levels are indicated throughout. 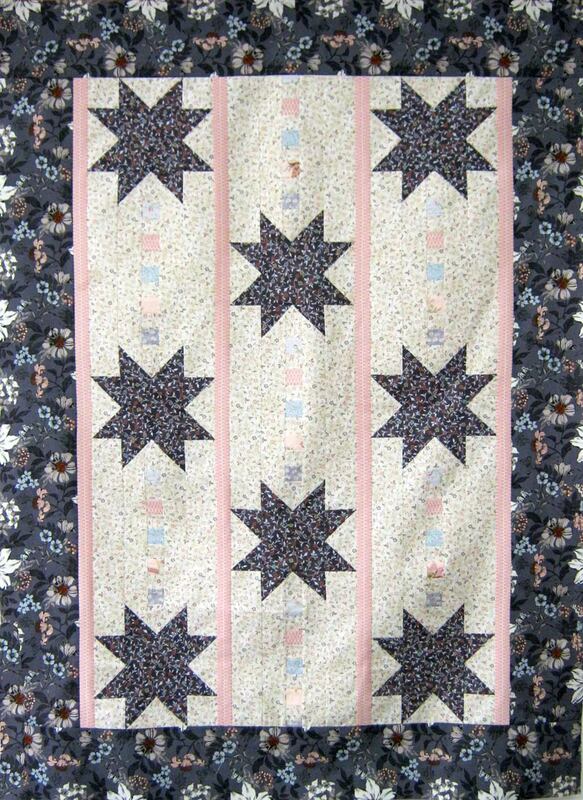 Sample quilts are for inspiration, color and fabric can be individually selected, the choice is yours. * We provide unlimited tea and coffee (and afternoon tea) for class participants, but you will need to bring your own lunch. 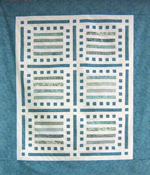 A free class designed for those who would love to make a quilt, but don't know where to start. Learn all the correct basic techniques of rotary cutting, machine piecing, including sewing accurate seams, pressing, quilt construction, layering, quilting and binding. These basic skills will allow you to progress to advanced designs with confidence. There is no tuition fee but you will need fabric, tools and sewing machine. A list of all requirements will be supplied when you enroll. Limited places available. 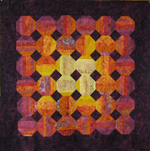 A dramatic large print is the basis for this modern quilt in popular colours. Suitable for beginners but some experience helpful. 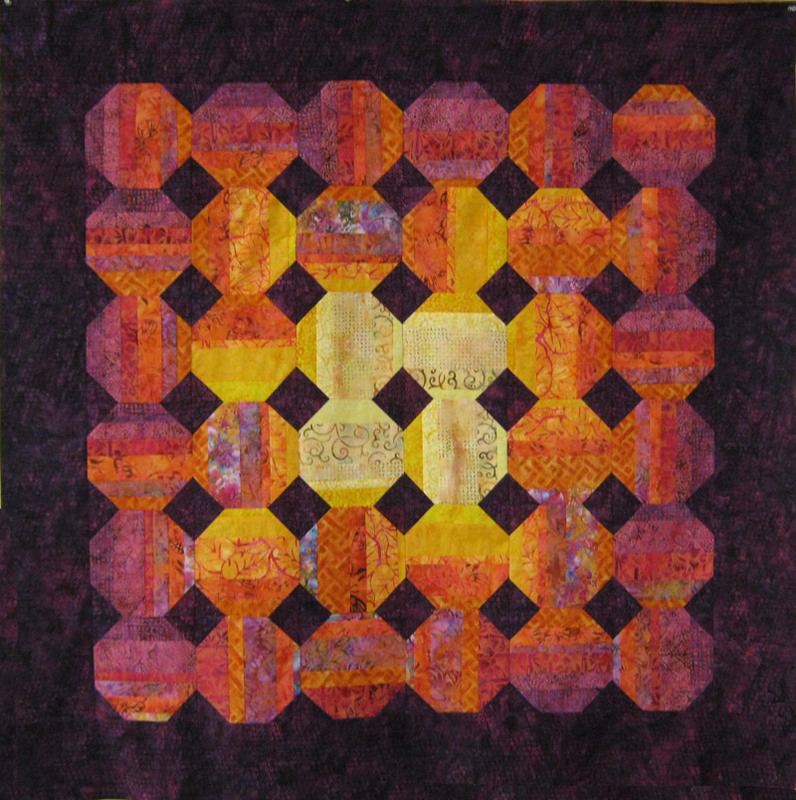 A cocktail of delicious batik fabrics, random cutting, precision piecing and colour play. Experience necessary for this class. 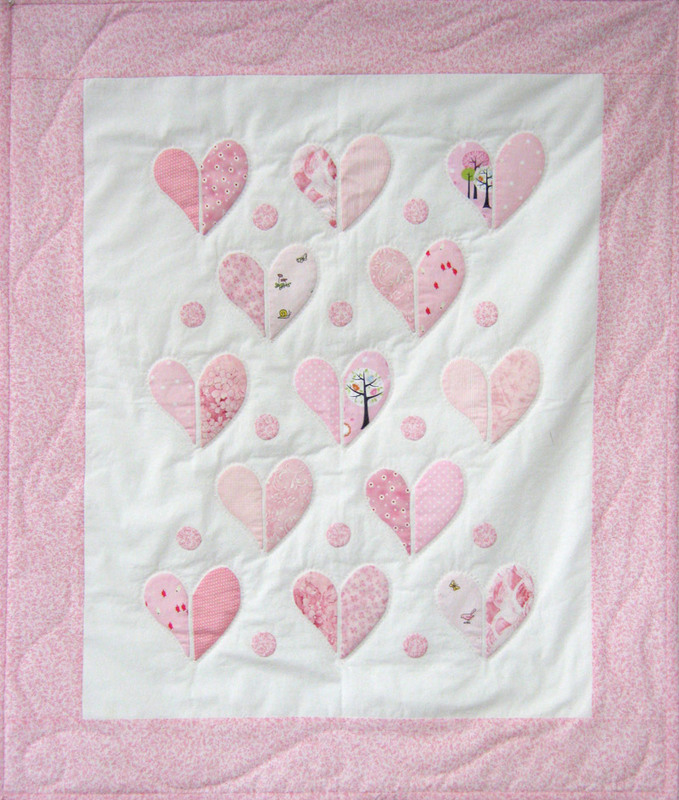 This appealing design is based on simple shapes using careful planning and placement to create a pretty baby quilt, and learn the skill of beautiful hand applique. Suitable for beginners. Although this design appears to be quite simple it requires precision cutting and sewing to complete. Designed as a problem solving exercise that will allow you to carry out difficult designs in future. Experience necessary for this class. 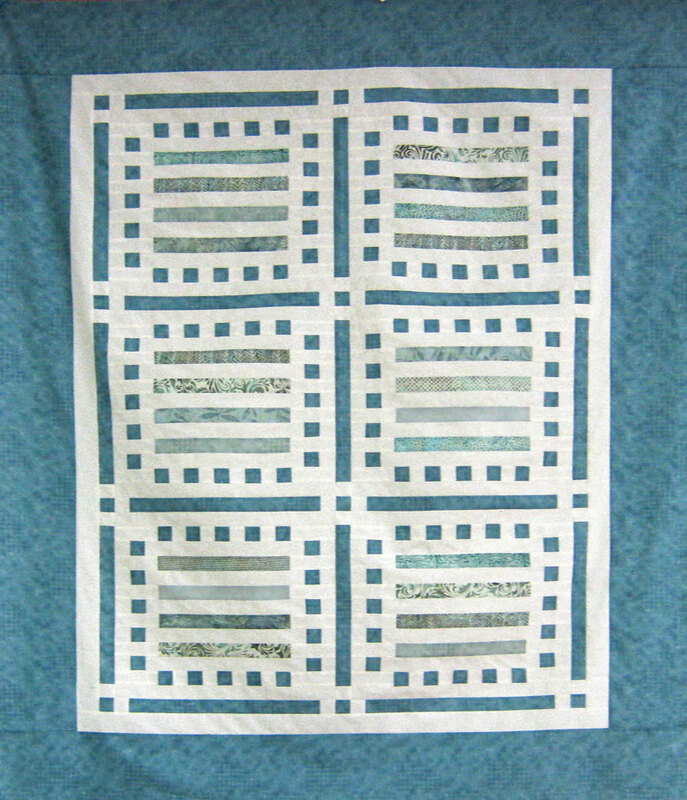 For many centuries quilting has been used to reinforce, repair and decorate garments and household items all over the world, especially in Japan. This is a simple Asian style jacket, easy to construct, featuring the Boro look. Sample available April 1. 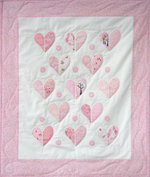 Learn the basic skills needed to quilt with your sewing machine, including quilt preparation, needle and thread requirements, correct tension, walking foot and free motion quilting. Possibly our most popular day, the original and the best, a day to work on any project you want to finish, with assistance if you want it, and delicious afternoon tea, amongst friendly company. IMPORTANT! It is essential that you pay for your class or UFO day at the time of booking to secure your place. Two weeks notice of withdrawal is required to receive a refund of your class fee. (We understand that personal emergencies do arise from time to time and the circumstances will be taken into consideration at the time).